And saying that gaming is healthy or energetic? Surely, the Tokyo Game Show organizers realize by now that Nintendo traditionally does not attend TGS. 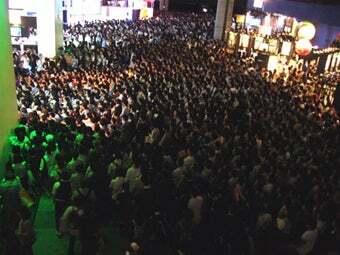 2009's Tokyo Game Show runs from September 24 to September 27, with the first two days being business/press days. The last two days are open to the public. Tickets cost ¥1,200 (US$12.26) the day of the show and are ¥1,000 ($10.23) in advance.